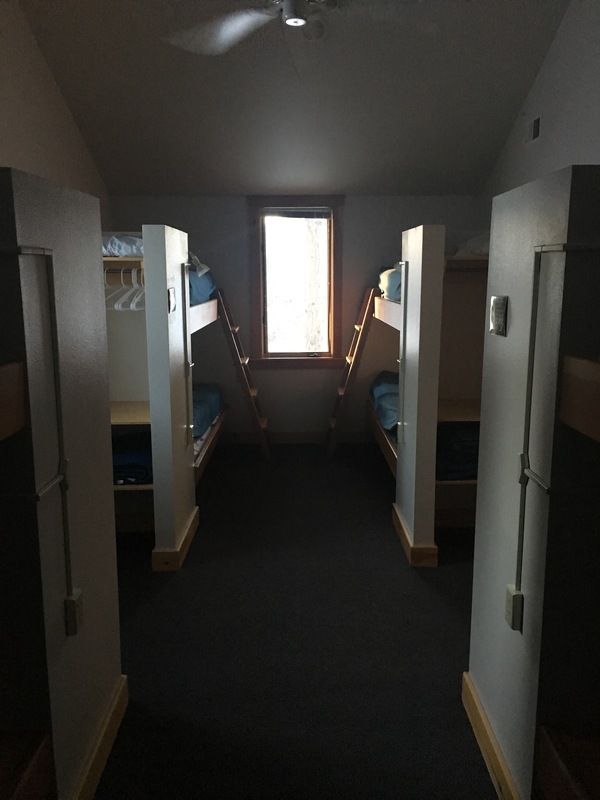 The Bunkhouse, where we host visiting educators to our Professional Development Center, sleeps up to 16, eight of each gender in separate wings. Two bathrooms, one in each wing, contain two toilets, two sinks and two showers each. 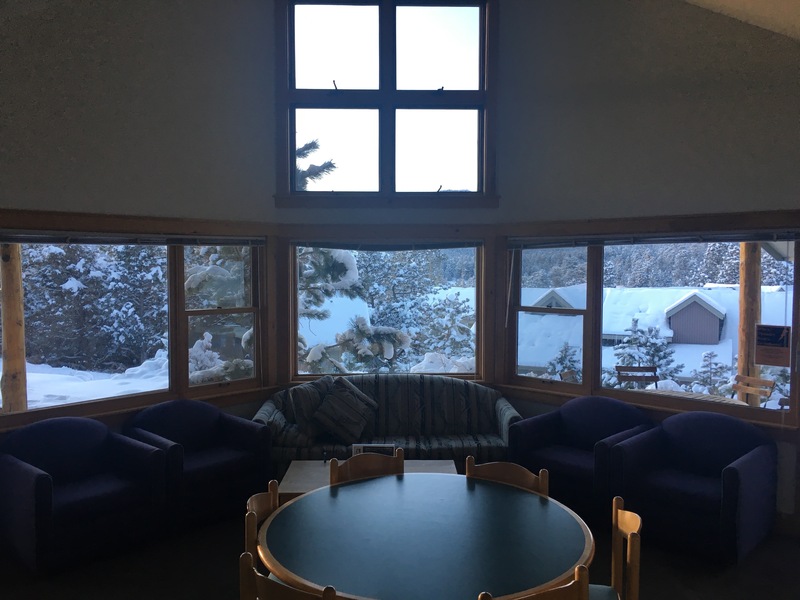 A living room features beautiful views, a couch, four comfortable chairs, a table with chairs, and a bench seating area. You do not need to bring sheets, blankets, pillowcases, or towels; these are provided for a small laundry charge. You will want to pack soap and shampoo as we do not provide toiletries.